Over the last thirty years, Daniel Hirtz has developed a process that resets and tunes your entire being from the physical to the spiritual. It helps us to go back to our natural state that many of us so easily and habitually loose touch with. Through an easy, flowing combination of conscious breathing, movement, rhythm, and sound, we open our being to the flow of vital energy and enhance our well-being beyond the norm of daily life. We “tune” our entire system, starting with the body. 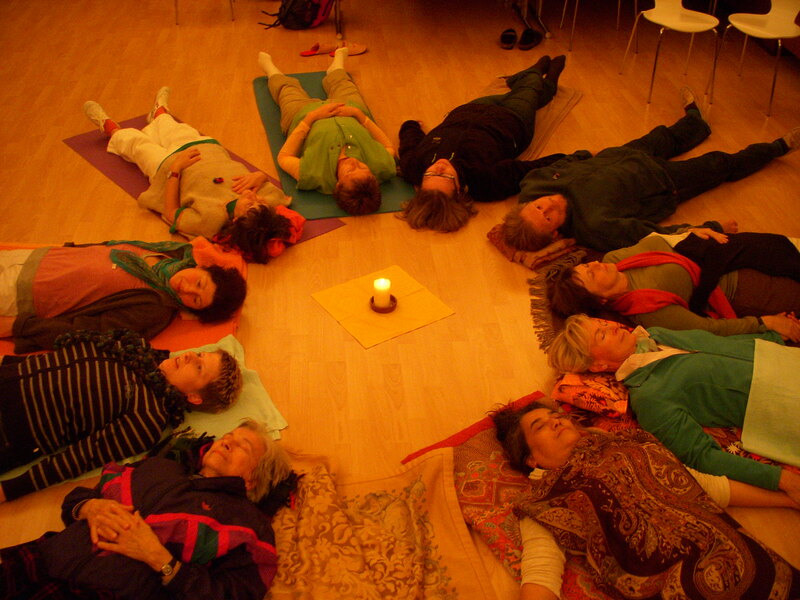 Participants experience a natural opening to the miraculous space they are. Mutual togetherness enhances ones tuning in. It allows us to feel our human connection by sharing the common flow of life. A deep sense of letting go and stress relief. Release of long-lasting, chronic tensions that build up through our stress-filled day-to-day lives. Learn how to dissolve and integrate those tensions and regain the encapsulated energy for your life. Long lasting effects of deep relaxation, recuperation, rejuvenation, invigoration. Experience of our energetic self in an expedition into the depth of your miraculous body. Through high energetic, blissful states open your cellular eyes and truly “know” your body. Calm down the ever-present, automatic inner dialogue to create a new clarity and greater focus. Satisfaction of our desire for self-discovery and wholeness – fulfillment and inner peace in the here-and-now. Gentle opening of our hearts to receive the magic of life. It is also an introduction to the nature and form of the human energy systems. Participants will gain useful tools and valuable insights that can be practiced in daily life. Conscious breathing – breath is the great helper in becoming fully aware. To breathe consciously is an adventure of into the hidden self and the mystical depth of our whole being. We will explore how breath opens, heals, relaxes, and energizes us in countless ways. Rhythm and movement – targeted movements open the body layer by layer, from the physical level to the most subtle and imperceptible level. Through this phenomenon of entrainment, our life energy automatically reorganizes and attunes itself by simply falling into place. Voice and sound – intonement with our voices allow us to become more aware of our energy body. Sound vocalization within the group heightens our experience. We will quickly perceive how the whole is more than the sum of its parts as we notice how the process of Holistic Tuning is accelerated by the collective sound. This does not require any voice skills or prior experience. Discover your voice without fear. Energy balancing – we will sharpen our inner awareness and learn how to gently focus on specific areas within ourselves, balancing, harmonizing, and healing our energy body. Gentle inquiry – being with each other as space, as opening, as each other’s guide to the truth of our being. Sharing Silence – just that (along with gentle guided meditation).